In advance of Swedish Transport Authority Trafikverket International Buyers Day in Stockholm, GI and three of its member companies met Camilla Ahston of Trafikverket at Enterprise Ireland’s Nordic office . Trafikverket plans capital projects in excess of €60 Bn over the coming decade, including high speed rail and road projects involving extensive tunneling and ground engineering . 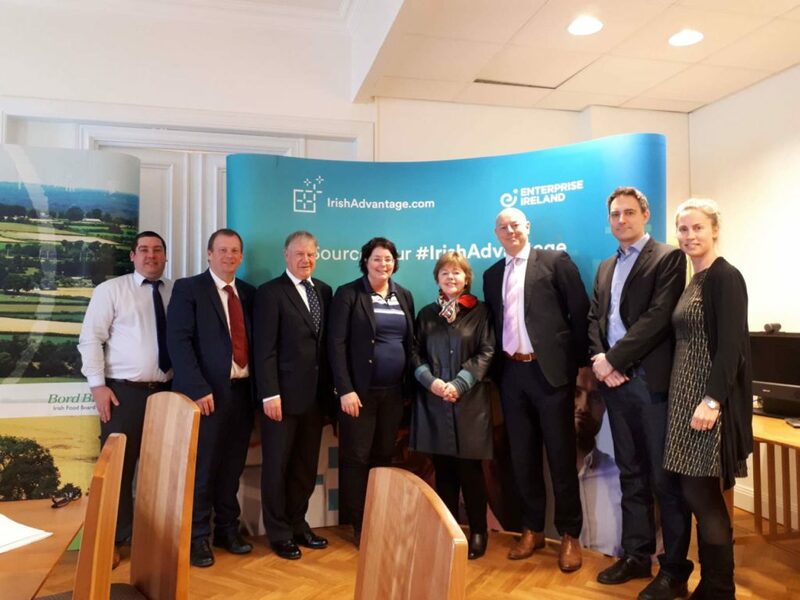 Photo (right to left): Karin Angus (EI) , Markus Kappling (Golder) , John Patterson (ERM), H.E Ambassador Dympna Hayes, Camilla Ahston (Trafikverket), Sean Finlay (GI), Tom Dunne (FLI Group ) and Ray Mahon (AA Euro) .